Boarding before Lunch. Lunch on board. Visit The Temple of Karnak & the Temple of Luxor.. Dinner on board & Belly Dance show. Overnight in Luxor. Breakfast. Visit The West Bank – the Valley of the Kings, Valley of The Queens and The Temple of Queen Hatshepsut at El Deir El Bahari. Lunch on board. Sail to Esna. Afternoon Tea. Disco Party. Overnight in Edfu. Breakfast on board. Visit the Temple of Horus in Edfu. Sail to Kom Ombo. Lunch on board. Visit The Temple Shared by the Two Gods Sobek & Haroeies in Kom Ombo. 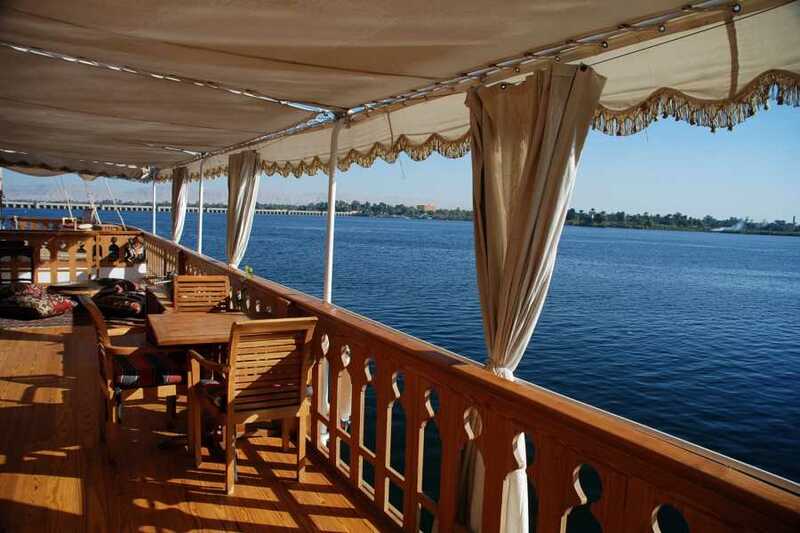 Dinner on board & Galabeya party Overnight in Kom Ombo. Breakfast on board. Sail to Aswan. Visit The High Dam, The Granite Quarries & The Temple of Philae Lunch on board. Sail on the Nile by felucca around Kitchener’s island and Agha Khan Mausoleum. Afternoon Tea. Dinner on board. Overnight in Aswan. 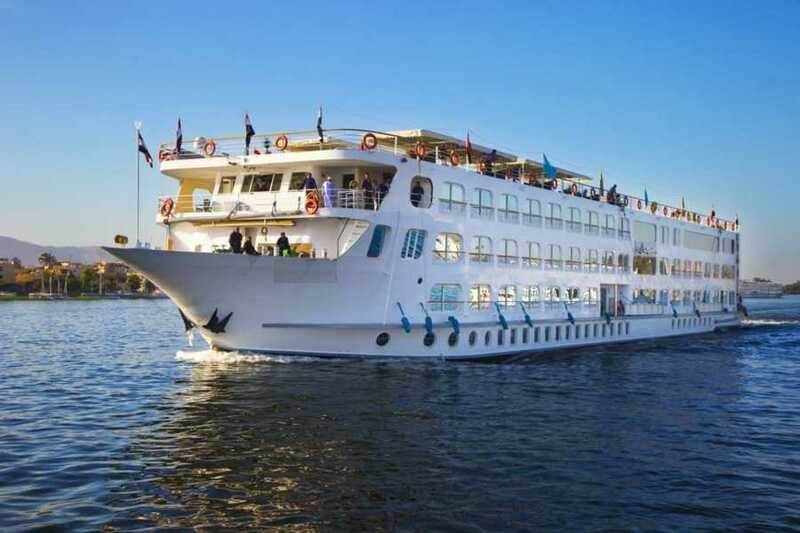 4 nights Nile Cruise on Full Board basis.